Here’s another family recipe from my Grandmother. Not sure if it is her creation, published somewhere, or from someone else’s kitchen. 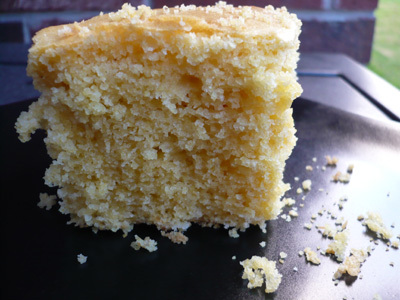 Regardless, it’s my favorite cornbread of all time! It’s simple to make, and absolutely delicious! This recipe looks great. What size pan would you suggest? I use a square 8x8x2 pan and it works great. Try it, you’ll love it!